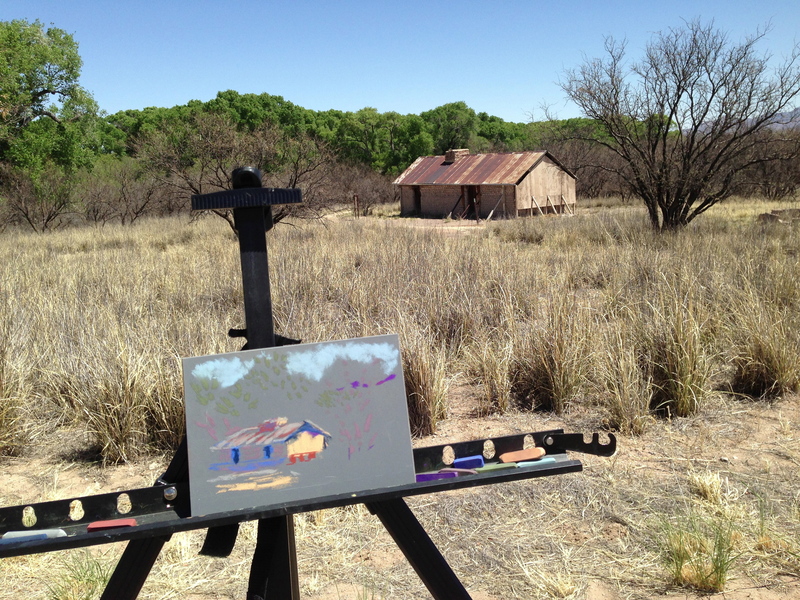 A recent visit to the old ranch that was homesteaded in the 1870’s. 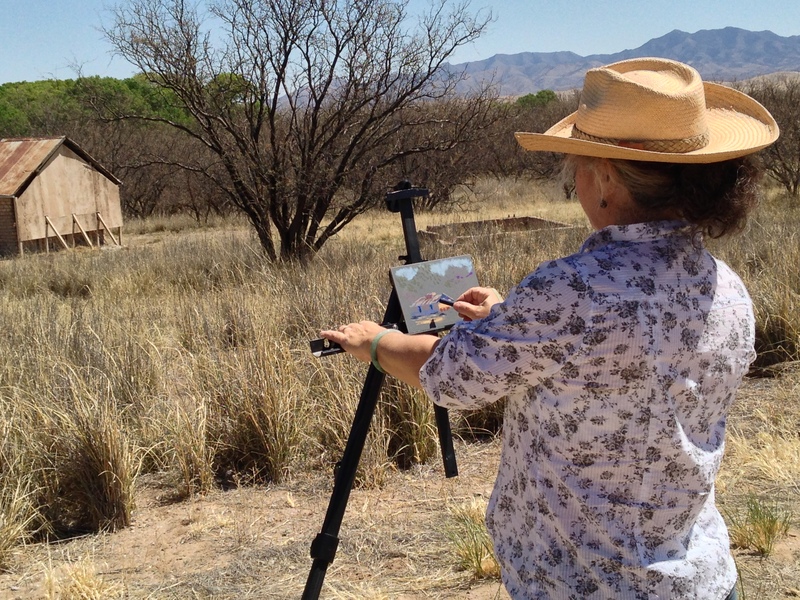 Painting the ranch and landscape is part of a project to embrace the environment visually, as part of an effort to save the Santa Rita mountains and area from being devastated by the proposed Rosemont Mine. The ranch is lonely and austere, and kept up by the Park Service. 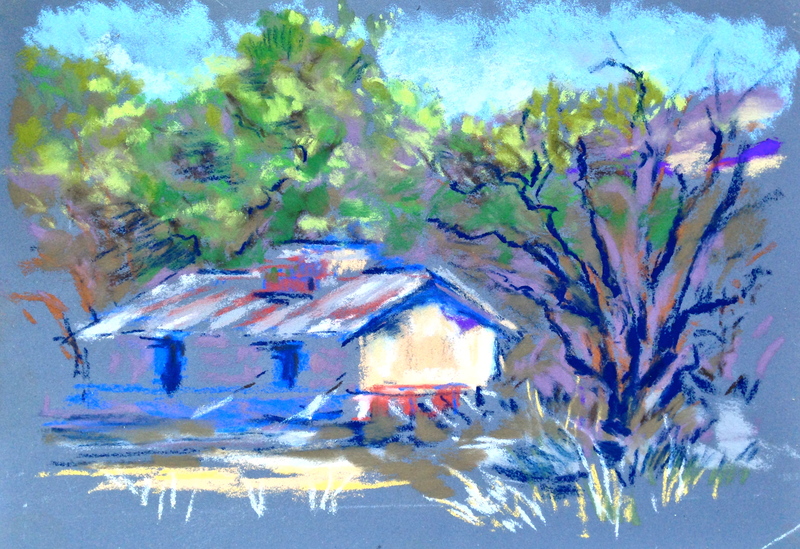 The structure I’m drawing in pastel is the old Hired Man’s House, an adobe structure also from the late 19th century. 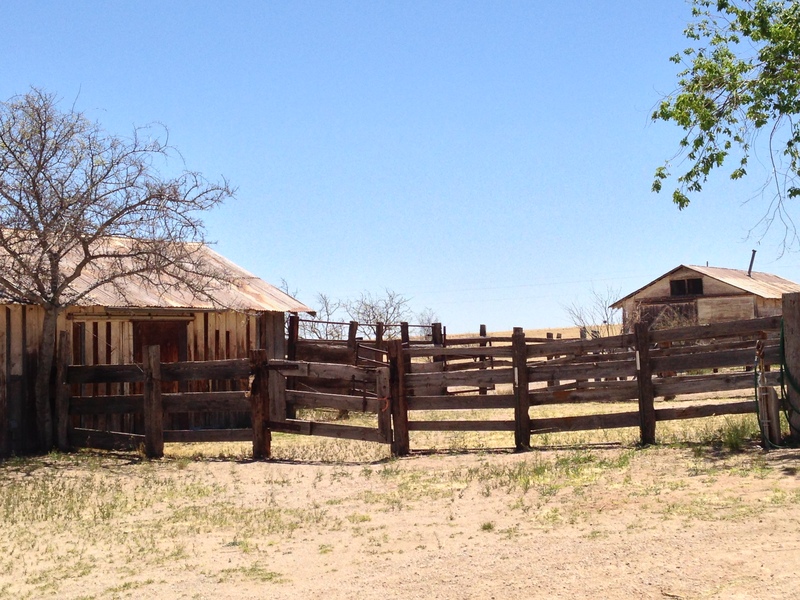 Imagining the old west: cattle days and cowboy architecture. Wind, turkey vultures overhead and a glimpse into time that exists in the past, present and maybe the future. For more information about Empire, go to empireranchfoundation.org. To learn about the project that opposes the building of the Rosemont Mine, go to: http://www.Lensontheland.com.